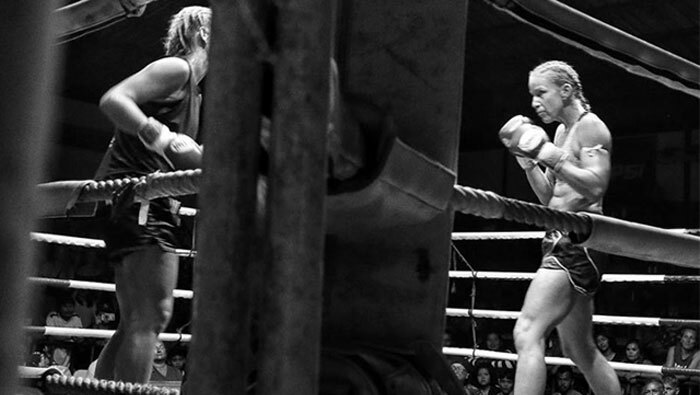 In this post we post students’ experiences doing the fight training and then having a professional fight. Anyone can try it. Read the blogs below and get a first person account of their experiences. Olly had dreamed of fighting in Thailand since he first put on a pair of boxing gloves. He traveled to Thailand a few times before but never fought. 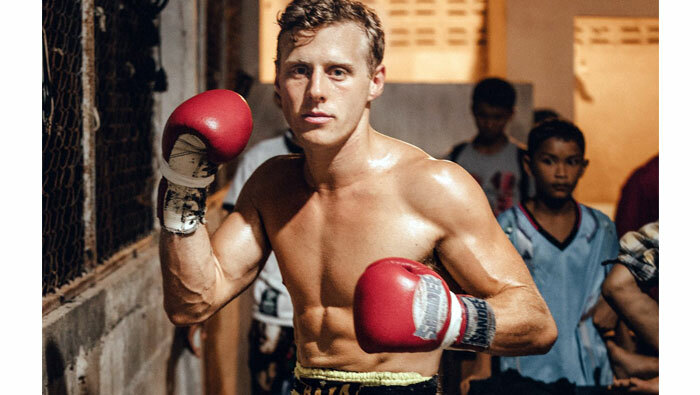 In 2018 he went to Rawai Muay Thai and joined the fight training program. This involved running twice a day and training twice a day in the gym with the other fighters. After a few weeks, it became a test of endurance, both physically and emotionally. Some days he thought he would not make it but stuck with the program. Finally the day came for his fight. All the trainers, students and staff went to watch and support him. It was a memorable night and reminded us that although boxing is an individual sport, it is definitely a team effort. Olly got to live his dream and make lifelong memories. My first time training at Rawai was when the gym was still located in Phuket. I was hooked…without a doubt. I was sure I wanted to come back, learn more and get better at Muay Thai. I came back to train in the brand new gym in Khao Lak together with my training buddy and good friend Arno. I absolutely loved it. Training twice a day, relaxing in between training sessions, enjoying the lovely Thai food, massages, and relaxing on one of the beautiful nearby beaches. The trainers at Rawai are all very experienced, skilled and motivated. In addition to that, I got to know their families and children… it feels like a little home away from home. Almost like a second family here in Kao Lak. Every year I come back, I am being welcomed by a dozen warm and friendly smiles and hugs of all the trainers. I learn so much every time. Especially, the private sessions that I did, in combination with the group training, improved my Muay Thai skills a lot and gave me more confidence. I could use these new skills really well in my Muay Thai and kickboxing training back home in Amsterdam. My main goal was not losing weight, though of course, training 3 or 4 weeks each year brought me so much: a better fitness level, a toned body, my first six pack at age 32. But the best part was that I felt recharged, my head was clear and I had peace of mind. Training Muay Thai felt for me almost like a kind of meditation. I knew that from the first year I came, and every consecutive year, it gave me that same recharged and boosting happy feeling. After many years of training at Rawai, I felt that this year I should give it a go. There was a little seed planted in my mind, and it started to grow by the imagination of preparing for an actual Muay Thai fight here in Thailand. Due my sabbatical leave from work, I could come and train for a longer period of time. I thought, it is now or never. 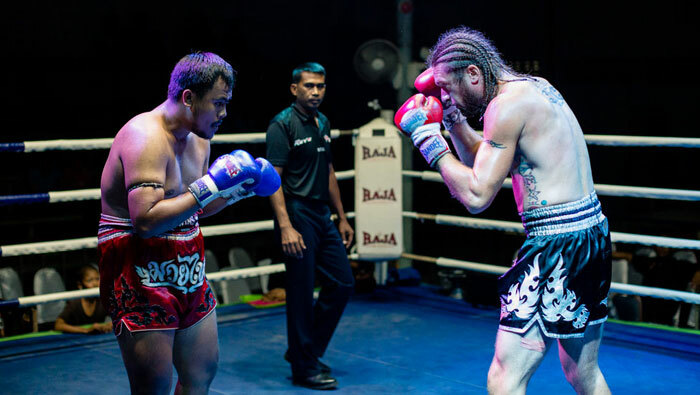 I always said to myself, whenever I can train for more than 5 or 6 weeks at Rawai, I know that the trainers could get me ready for a fight, if I give it all and train as hard as I can. It was also the ultimate physical and mental challenge for me. I’m 39, if I want to do this, I should do it now! And, I did. The moment I started doing the fight training, it felt awesome, since you have this one goal in mind. The goal is your fight. It was absolutely next level training. I can say, I am used to training hard back home (5 or 6 times a week kickboxing, weights training and cross fit) and being a sports instructor, I tell my students that you have to work hard in order to get stronger, fitter or lose weight. Nothing comes without effort, focus, hard work and discipline. And, exactly those things are needed if you decide to do the fight training. You have to be willing to give 110% you have to be willing to go deep. But you know why you are doing it, and when you keep that in mind, it helps you through those tough moments that either your body or your mind want to give up. Training 6 days a week, two times a day, running twice a day before the training sessions with the other Thai fighters is hard, but in the end, so rewarding. It also helped me that I wasn’t in this alone. The Thai fighters undergo the same Spartan training schedule and discipline like you, probably even tougher. But it felt so good, we were in this together. It created a bond. They supported me and checked on me to see if I was alright after heavy sparring or clinching sessions. I will never forget that. It was my first fight. I never thought I would do it, if you’ve asked me five years ago. But I trained hard for it, 5 weeks I gave everything. The runs twice a day improved my fitness level a lot. The intense training sessions in ring 4 (the fighter ring) with my trainer On made me better and more confident each week. And, still you cannot simulate your first fight, despite how hard you train or how fit you are. The moment you step into that ring, you know you have to do it on your own. It is for real now. Before the actual fight starts, I did the Wai Kru to pay respect to the art of Muay Thai, and to warm up my muscles. In every corner of the ring, I bowed and repeated a different mantra in my head. 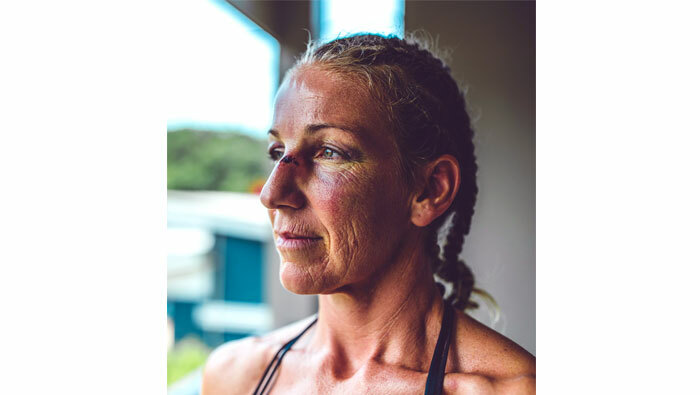 Like ‘I feel no pain, there is no pain’, and ‘All my actions are with intent and power.’ I learnt that visualization and breathing exercises in the days before the fight helped me to prepare and train my mental strength and focus. Trying to stay calm and focused is key, just before and during the fight. Was it tough? Yes, it certainly was. But, it was all worth it. I lost, but I think that this whole journey from doing the fight training till actually stepping into that ring was an amazing experience. I challenged myself and I stepped out of my comfort zone to get better, to test myself and to grow – as a person. I think, preparing for and doing the fight, taught some great life lessons. Firstly, that you grow in confidence each time you discover you’re stronger than you think. Second, that what you get by achieving your goals is not as important as what you become by achieving your goals. And finally, that, win or lose does not define you. What matters is that I took a risk, prepared for a challenge, and learnt from the experience. Khao Lak, Thailand March 19, 2019. 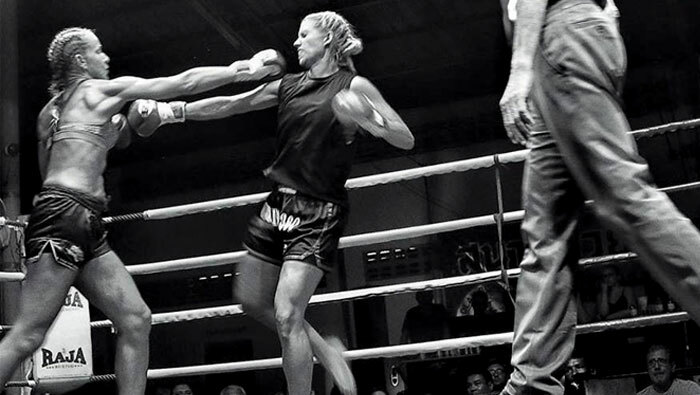 Andrew and Kristen arrive at Rawai Muay Thai in January 2018. They had never boxed before. They were complete beginners in terms of Thai Boxing. They were going to stay 3 months but decided to stay longer and do the fight training as well. Check out their fabulous blog World Squared, where they post beautiful photographs telling visual stories of the travels and experiences around the world. McKenzie is from Tennessee, USA. She came with her friends lat year to learn Muay Thai and to travel around Thailand. 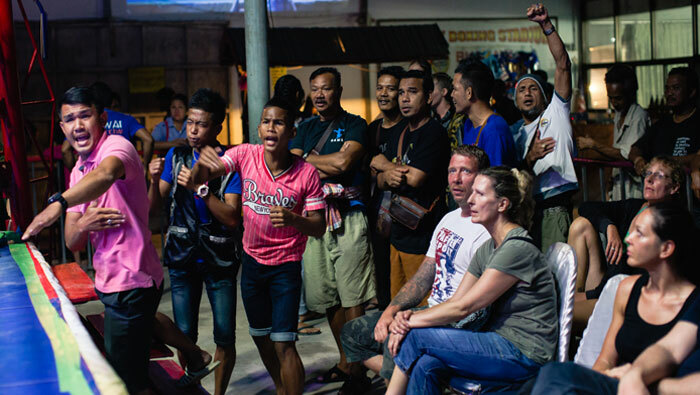 She had her first fight in Khao Lak Stadium. See all the photos here.